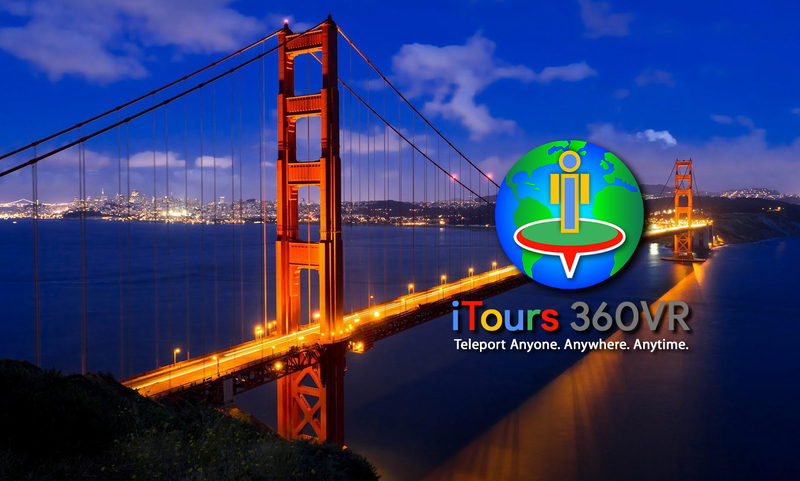 iTours 360VR | Teleport Anyone. Anywhere. Anytime. WE ENABLE YOU TO INSTANTLY TELEPORT AND IMMERSE PEOPLE WITHIN PLACES YOU WANT THEM TO TOUR, EXPLORE, AND EXPERIENCE – SO THEY CAN’T WAIT TO GO THERE! iTours 360VR is an innovative Virtual Reality (VR) marketing and advertising agency focused on creating immersive and interactive tours using 360° VR photography and technology. We can instantaneously teleport people virtually anywhere through VR gear that takes them to virtual destinations they can tour, explore, discover, and feel a sense of presence within. Memorable jaw-dropping VR experiences that stimulate the senses, and convey compelling content and stories that emotionally engage and excite viewers. In addition to producing revolutionary disruptive VR marketing and advertising content, iTours 360VR services include 3D and 360° VR Tours, Google Street View Tours, Matterport 360 VR Tours, Zillow Video Walkthroughs, and more. Help people find and choose your business with a high-quality virtual tour that lets them experience your location before they arrive. These immersive, virtual experiences inspire prospective guests and patrons to visit your place of business. Let an iTours 360VR “Google Street View Trusted” professional help you create and publish your virtual tour. Help people experience your property online in the most realistic, fully immersive way possible. Whether you’re in the real estate, restaurant, retail, or travel & hospitality industry – 360° virtual reality (VR) tours provide a presence that’s the next best thing to being there. Let an iTours 360VR “Matterport Service Partner” bring excited visitors to you. Help home buyers find and choose your real estate listing with a professionally shot video walkthrough that gives them a more dynamic way to experience the look and flow of a home. Zillow and Trulia sort listings with video walkthroughs to the top of their search results. Let an iTours 360VR “Zillow Certified Photographer” help you sell more homes – faster. @ itours360vr.com | iTours 360VR | All rights reserved.